We jump back to the perspective of Grand Theft Auto 1 and 2 and we look at the GTA-World from above. On the second lower screen you can see the game card and you can play small mini-games like crack of car locks. 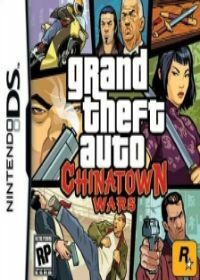 Especially the many mini-games in GTA - Chinatown Wars on the Nintendo DS make up a huge part of the fun factor. Here now the cheats for the Chinatown Wars on the DS which you type during the game. In this Cheat List 12 active cheats are available. If your armor-plating in GTA - Chinatown Wars goes to the end you can fill your armor with this Cheat Code. your life energy - power in Grand Theft Auto (GTA) Chinatown Wars on the Nintendo DS is depleted then you can fill your life energy with the following cheat .. The first Weapon Set in GTA Chinatown Wars you obtained after you type this cheat during the game. Now, here is the cheat code for the first Weapon ..
Also the second, medium Weapon Set on the Nintendo DS in GTA Chinatown Wars can you create with a cheat. You get the second Weapon Set after you type the che..
Of course you can also the third heavy Weapon Set call over with a cheat code. Here is the cheat for the input while Chinatown Wars on the DS is run..
For the last and fourth Weapon Set in GTA Chinatown Wars on the DS there are also a cheat code. This is as usual type during the game. If you want more be searched by the police in Grand Theft Auto Chinatown Wars then this cheat is just right. Because with this cheat you are able to..
Of course in GTA Chinatown Wars you can influence the weather. Here is the cheat code to let the sun shining. A little bit rain is not enough? With this cheat in GTA Chinatown Wars on the DS you can let it rain very strong. Type this cheat as usual during the game. Much rain is not enough? Then with this cheat you can let raise a hurricane. After the input of this cheat code during the game a true hurricane is breaking ..